Go ahead. Let that mystical, lunar allure pull you into the Pensacola State College Planetarium for two exciting shows starring our closest space neighbor, the Moon. Free for PSC students, faculty and staff with current ID, these shows require no tickets. “Pink Floyd’s Dark Side of the Moon” runs 40 minutes and appeals to adults. Lose yourself in Pink Floyd’s legendary rock ’n’ roll masterpiece, enhanced by PSC’s high-definition, full dome video system. Surround sound and mesmerizing images create an unforgettable experience. More than a laser show, it’s a totally new digital revolution in sight and sound. 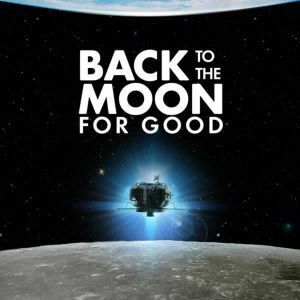 “Back to the Moon for Good” runs 24 minutes and appeals to children and adults. Come see a stunning glimpse of what our next lunar adventure may be as international teams compete to land a spacecraft on the Moon. This award-winning show chronicles the engineering and innovation of these teams as they vie to win the $30 million Google Lunar X Prize by landing a robotic spacecraft on the Moon, navigating 500 meters, and sending video back to Earth. More free midday shows for PSC students and staff are upcoming. Find details at http://planetarium.pensacolastate.edu/student-shows/.